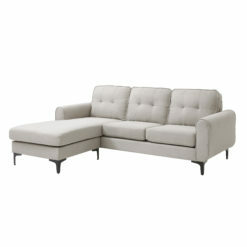 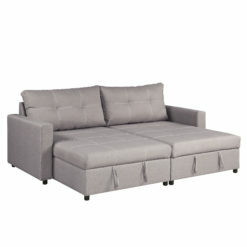 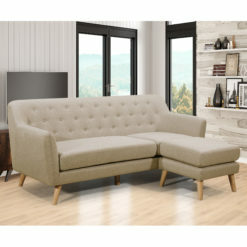 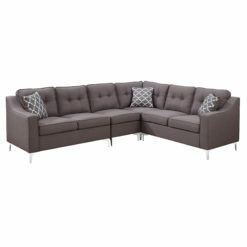 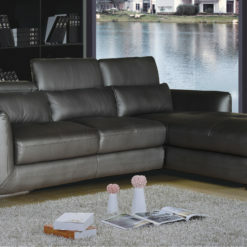 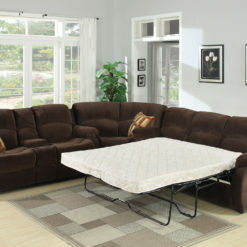 Functional and stylish defines the Kevin sectional, the living room set perfect for rest and entertainment. 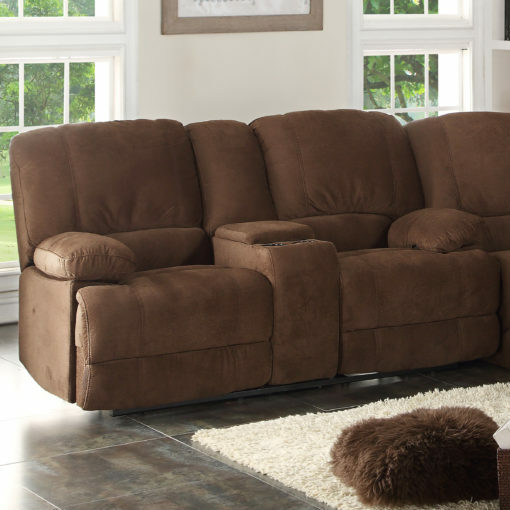 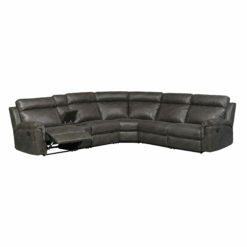 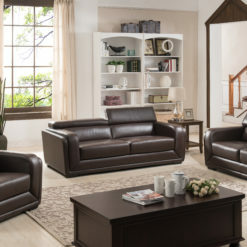 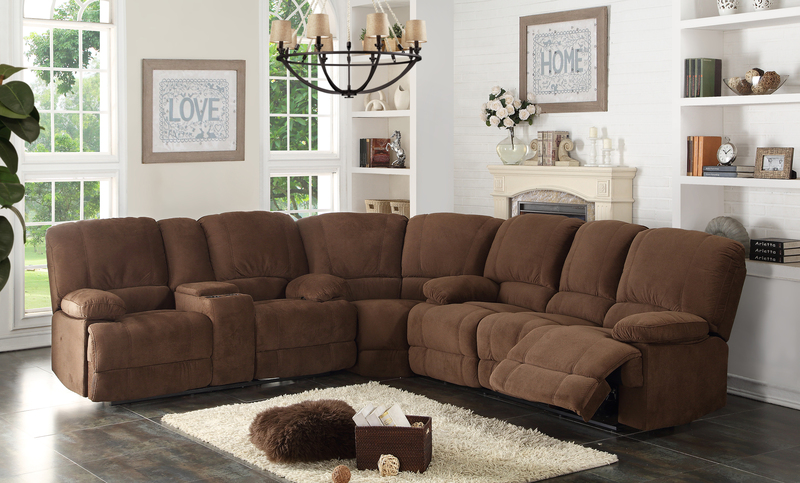 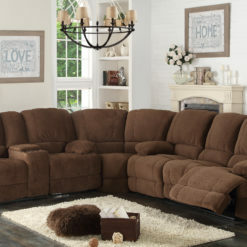 This transitional sectional includes a spacious corner and dual manual recliners on the sofa and loveseat. 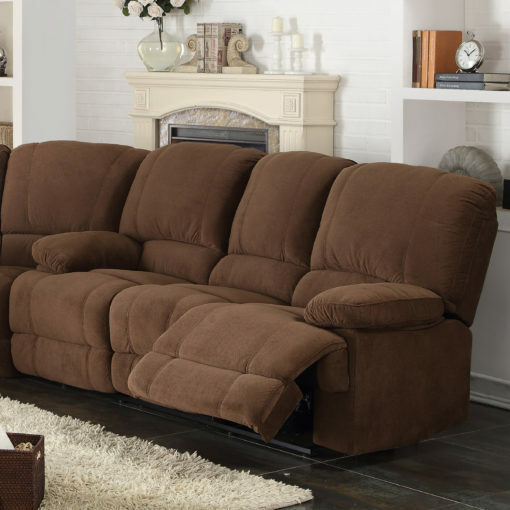 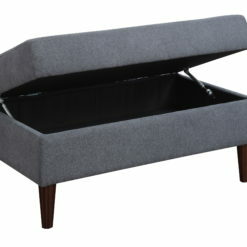 You will never have to loose your precious devices in your sectional or spill your favorite drinks again while kicking back becuase the loveseat comes equipped with a storage console and two (2) cup holders. 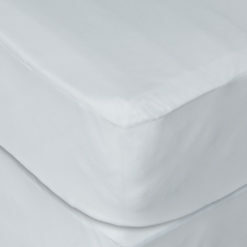 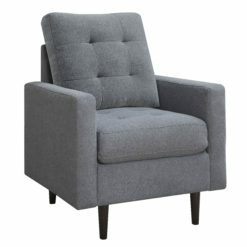 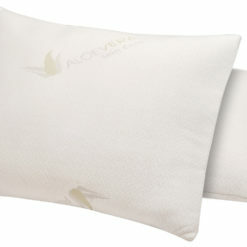 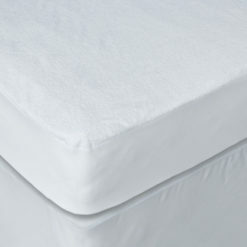 The Kevin will be a focal point of the home and a place where memories will be created for a lifetime.